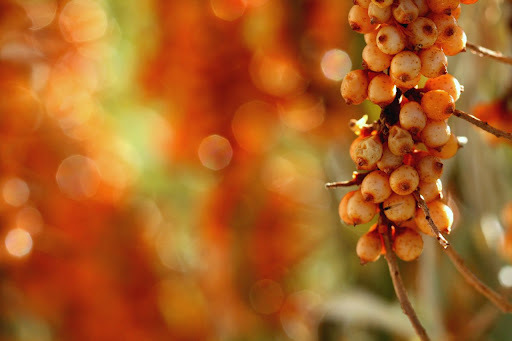 Sea Buckthorn Insider | Sea Buckthorn: An East-Asian Panacea? In Eastern Asia, some segments of Chinese and Tibetan culture view sea buckthorn as a panacea, for use in treating a number of ailments and continued individual health. Now, scientific studies are emerging that dissect the unusually nutrient-rich qualities of sea buckthorn. The science is now backing up the tradition, suggesting that sea buckthorn may indeed have a wide variety of uses and health benefits. A panacea is a five dollar word for a cure-all. Panacea is a character in ancient Greek mythology who cured all diseases and ailments. The traditional Chinese and Tibetan regard in some circles for sea buckthorn as a panacea sparked an international interest in the fruit. 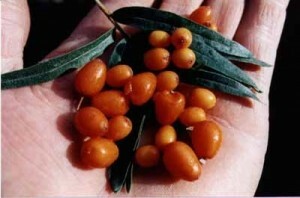 Sea buckthorn has also been used traditionally in India, Pakistan, and Bhutan. 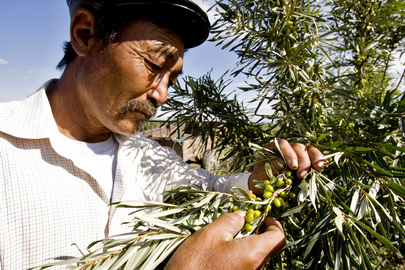 Though sea buckthorn is a common staple of Tibetan and European traditional medicine as well, it is most established as a common ingredient in Traditional Chinese medicinal cures. Sea buckthorn has been used in a number of ways, but its most common implementations involve conditions of the skin, heart, and immune system. Skin – Most notably, sea buckthorn has been used as an overall treatment for conditions of the skin. Burns and eczema are traditional Chinese applications of sea buckthorn. It has been used to treat gum conditions and vaginal dryness as well. The skin healing qualities of sea buckthorn have suggested its use as a natural treatment for treating radiation poisoning. Click here to learn more about sea buckthorn and skincare. Heart – TCM has long utilized sea buckhorn as a booster for heart health, thought to boost blood flow and overall health of the cardiovascular system. Click here to read more on sea buckthorn and cardiovascular health. Immunity – Traditional Chinese Medicine points to the use of sea buckthorn as an immunity booster. Some think it helps to prevent aging, as well as macular degeneration (gradual onset of blindness). So what’s behind the long term success of sea buckthorn? As science continues to analyze this super berry, it has revealed sea buckthorn is packed with a wealth of vitamins, essential fatty acids, and antioxidants that may indeed facilitate improved health of the skin, heart and immune system. Vitamins – Vitamins A, C and D are present with impressive density in sea buckthorn. Vitamin A facilitates eyesight health. Vitamin C is now viewed by most scientists as an indicator of total body health. Vitamin E is thought to have many of the skin improving properties attributed to sea buckthorn. Essential Fatty Acids – Sea buckthorn is unusually loaded with omega-3, -6, -7, and -9. The palmeolitic acit (that’s omega-7) content of sea buckthorn is rare in nature, and may contribute to the moisturizing qualities associated with the berry. Antioxidants – Modern science views antioxidants, in a very broad sense, as anti-cancer nutrients. Sea buckthorn contains flavanoids, which may not only combat free radicals but facilitate the heart health and blood flow that Traditional Chinese Medicine speaks about in relation to Sea Buckthorn. Learn more about sea buckthorn and it’s impressive antioxidants. As you can see, science may be proving Traditional Chinese Medicine right. Sea buckthorn, the traditional panacea of East Asia, contains a number of nutritional benefits that may not make it a cure-all, but a wise choice for continued health. 3 Responses to Sea Buckthorn: An East-Asian Panacea? The oil from sea buckthorn may also help lower your cholesterol levels, which, when too high, can contribute to the development of diabetes.